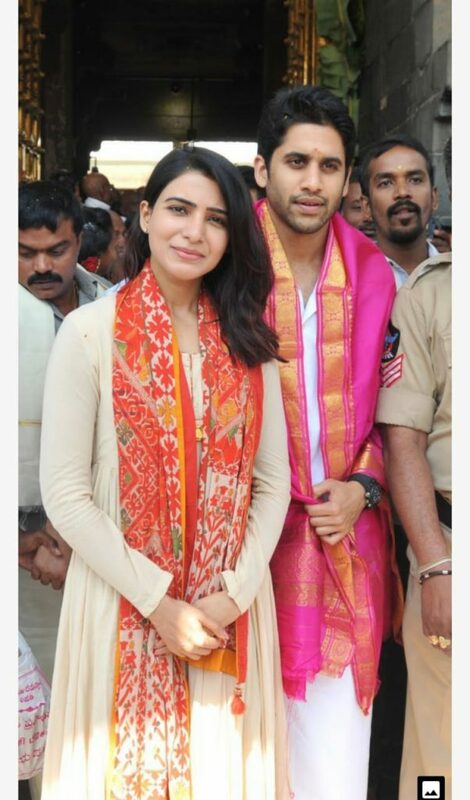 Tollywood’s cutest couple Naga Chaitanya and Samantha paid a visit to Tirumala hill shrine and offered their prayers to Lord Venkateswara ahead of their Majili release. The couple had darshan of the deity during VIP break. Fans and devotees thronged to take selfies with them. TTD security personnel have faced a tough time to control fans.